The most comprehensive guide of checklists, photos, and pricing information. Thousands of photos for easy, quick card identification. Set descriptions and distribution information. How to grade your cards. 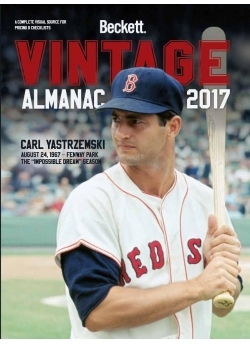 Beckett Almanac of Vintage Cards & Collectibles 3rd Edition. All New for 2017! Detailed error and variation descriptions.